Job Costing is an important part of travel. When you travel, do you care how much the locals earn, if you want to be a responsible traveler you should. This man probably earns less than one-dollar USD per hour. 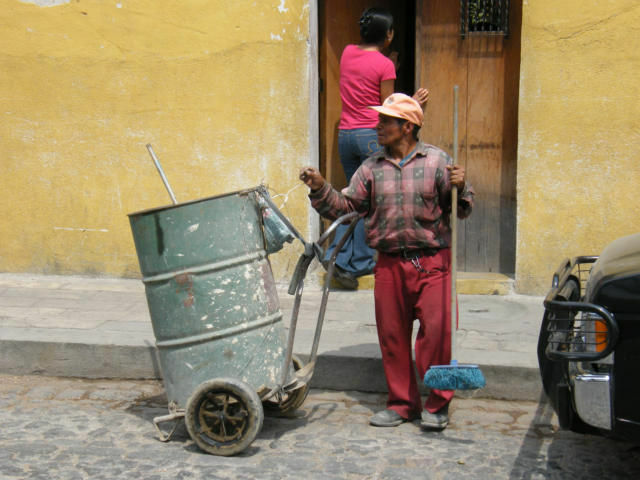 6.48298 USD is the minimum wage in Guatemala per Day or 52 Quetzals. As I understand this and evaluate, the Job Costing for this is job or worker in Guatemala would earn 52.00 GTQ per day, or I should expect to pay this man about 6.5 Quetzals per hour if he works an eight-hour day. Job Costing is the responsibly of all tourist or travelers who are responsible global citizens. "Job Costing involves preparation to calculate the costs involved of a business manufacturing goods. These costs are recorded in ledger accounts throughout the year and are then shown in the final trial balance before the preparing of the manufacturing statement." Generally, the best number to use is 10 dollars per day, maybe one dollar per hour. However, if you truly love a country, you will be a responsible travel and not overpay workers. I will pay about 25 percent extra or more than the locals, but I try my best to keep it realistic. Why, after you pay too much, workers refuse to sell products to friends, family and other locals at reasonable prices. It inflates cost for normal people; they no longer can afford to live in their own country, because they are competing with people from Europe or the USA who earn 10-100 times more money in one day. I always do some job costing in my head, before I make a purchase. I try to use local businesses who sell to locals, therefore allowing normal people to prosper. I try to avoid businesses that allow one status of person to prosper greatly by using local wage scales, but charging tourist prices. I want to pay local prices, then I feel I am a responsible traveler. I am in Guatemala to manufacture backpacks, which sounds more grandiose than it really is. 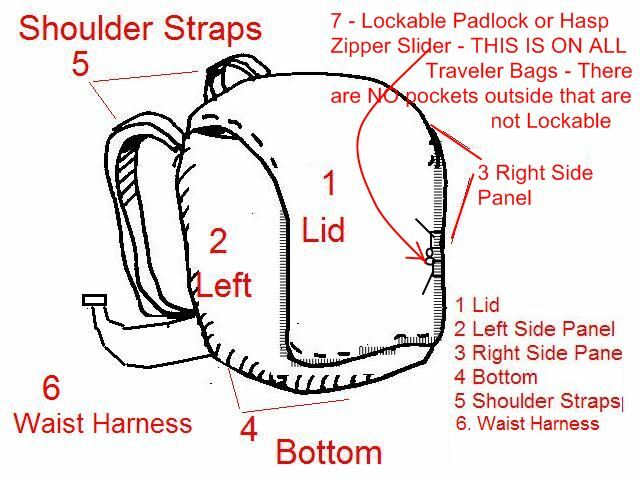 I will find about 5-10 people with sewing machines and give them parts of the backpack to produce. I must do some job costing. I need to learn or estimate how long it takes them to produce one part. Say, I want the person sewing to make the left part of the waist harness, I can guess that he or she will do one per hour and pay the person one dollar per hour. 8 x 1 dollar is 8 dollars per day. I wish to pay 25 percent more than locals pay, just for diplomacy reasons. I will go convert money to Quetzals, I must pay in local currency. Ok, I am fine; I am paying enough if the person can produce one per hour. However, from experiences and watching workers in Katmandu, Nepal, I know these workers will be able to do about 5-20 in one hours, so I may well be overpaying. I have to be real careful, I do not want to do job costing where I pay to little or too much, I want to be fair. When a little Guatemala girls walks up and has in her hand maybe 200 small woven or braided bracelets, and she ask one dollars. Maybe you can do the math, if she sells eight in a day or one per hour she is making a living. Please do some job costing when you walk around in foreign countries, we do not want the economy of the whole planet to experiences the job despair of the USA or Europe. Sadly, I know this is an Entrepreneur function, and generally, the majority of workers feel they are underpaid when they are overpaid, but please try to be cheap, overpaying is the problem, you will never be able to underpay a street vendor, that is not possible. Called Fair Trade, here in El Salvador my associate, a Biologist, worked in one large town dedicated to crafts, hand woven, such as hammocks, where natives exploit the natives, paying as little as 1 dollar a day for 8 or 9 hours work, anyone visiting El Salvador and interested in exporting arts and crafts, willing to pay a FAIR daily wage, advise me. The hammocks sell for as much as 200 Euro each retail in northern Europe. Fair Trade is a two way street. If planning on buying Tela (Fabric) and a lot of accesories locally, hire a native to do your purchasing for you. Low profiles are best profiles! Anyone traveling to El Salvador and south from Guatemala send comment on this thread if interested in crafts import export fair trade. By the way Andy, one of the worst exploiters of local labor in Pana in late 1980s was an American Missionary and Pastor who set up a sweat shop. Locals ran him out of town eventually, met him once on Bus in 1986, remember he told me he talked directly to G-d! Huh, I am from New England originally, where Lodges talked only to the Cabots and the Cabots only to G-d.
To Atheists and or Agnostics..nice day!